Well, my lil’ cowgirl running around naked in her red cowboy boots was too hard to say no to. I cautioned that the hooves might be a level of detail not capable with the pancake medium. She shrugged and was like, ok but please still make a horse pancake? You all, this might be stating the obvious but it’s hard to make pancakes look like horses. 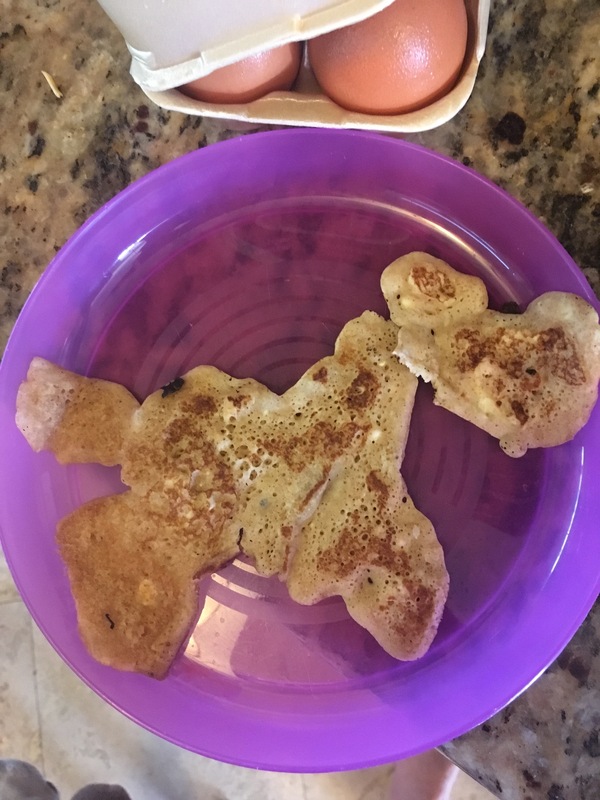 Me to kid: here is your horse pancake! Just know that it kind of sort of looks like a horsey. Me (not believing her): yeah! ?Where do you think the tail is? Listen you guys, she found the “tail”! I have officially won motherhood today. 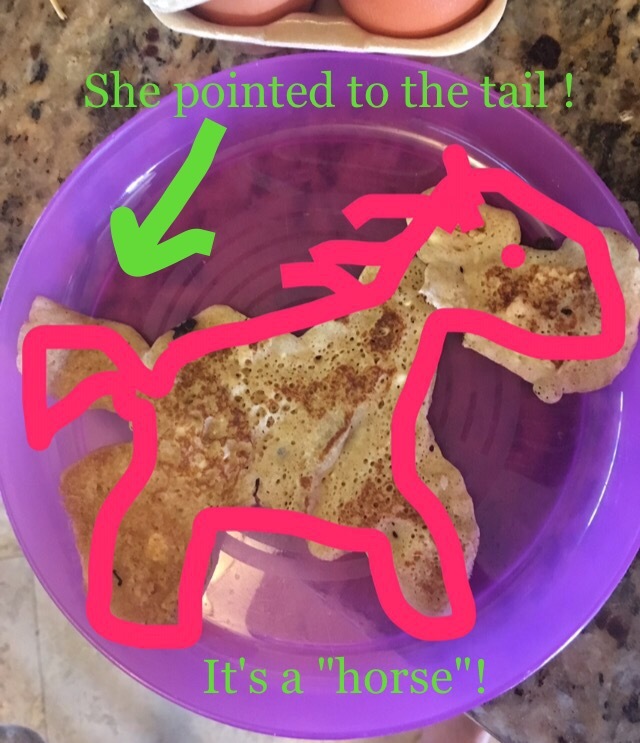 UPDATE: I forgot to add that after she ate her pancake she brought over a plastic toy horse and said, “Mommy, this is what a horse looks like!” Like I didn’t know. Like my pancake didn’t look like a horse or something. Just Follow the Joy! • This entry was posted in humor, motherhood, Parent Life and tagged food, funnies, horses, kids, motherhood, parenthood, parenting, thisisfour, winning. Bookmark the permalink. ← . . .and we’re up at Mommyish.com! Are you using a squeeze bottle? I think it looks great! I admit, after seeing all the Facebook videos about parents and their amazing pancakes, I’m tempted to give it a try.